Each week we’ll be looking at new slot games. Finding the best casino for that game and using the associated deposit bonus for that casino. This time it’s the Viking Runecraft slot from Play ‘N Go and Guts.com to play it. Why? Let’s just say the Guts deposit bonus is still fairly weighted against rival slots sites. 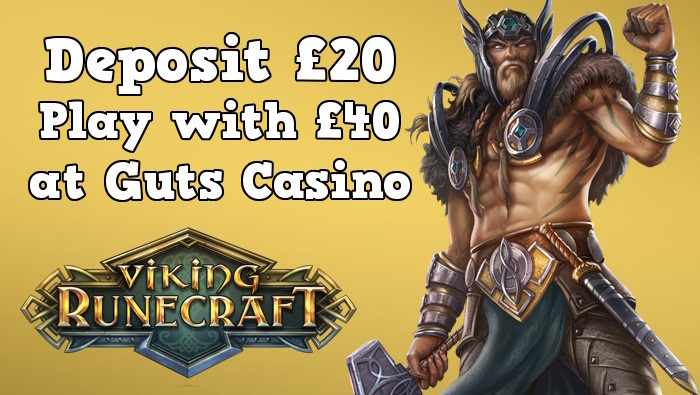 If you join Guts Casino to play Viking Runecraft, you can deposit £20 and play with £40. If you are using the maximum Guts.com bonus, you can deposit £100 and play with £200! Also known as the 100% first deposit match. I don’t normally praise new slots at this level, in fact, I’ll be honest and say crap when they’re crap. It’s not uncommon to find games that have been photocopied and re-labelled. But the Viking Runecraft slot couldn’t be further away from rubbish. Firstly, this is Play ‘N Go’s first 7 x 7 grid and secondly, it uses cascading symbols. That means the reels don’t spin, they fall. It also means that when you’ve won something, those symbols disappear and new symbols drop down. It means you can keep on winning in a single spin! It’s original because you like playing it. Any new slot that can keep you interested is good. So instead of just pressing the button and waiting to win. You find yourself wanting to progress through the levels, wanting to collect runestones and wanting to see the Gods do their business. Key takeaways include spins from 10p to £100, a mobile slot version and high-spec animation. I mean this game looks good. 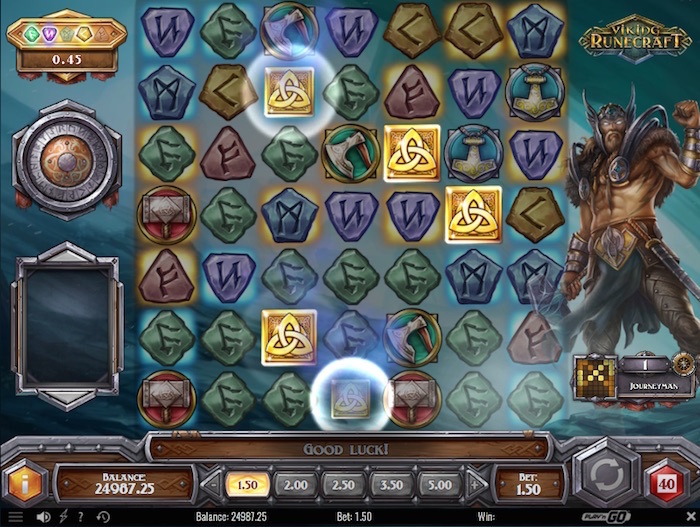 I’ve seen some new slots in 2017, but few can match Viking Runecraft on graphics or playability. As for the paytable, it’s one of the biggest paying on up to 15 plus symbols in a row. And that’s with a 96.70% RTP payout rate. If i then told you that you could win 5000 x your betting stake playing this game. There really isn’t much else to say. You can read the full review of Viking Runecraft here. I want to be clear when I talk about bonuses. Some other slot review sites say get a 100% bonus, that could mean free. Does it mean free, what does a £20 free bonus mean? What the hell does that mean? At Slotsquad we say it like this, deposit £20 and play with £40. Because that’s the reality of the bonus. At the time of writing, the Guts deposit bonus is a four stage welcome bonus. Meaning you will get various deposit matches on your first four deposits. You also get free spins on Starburst, but who cares about Starburst. This is the hugely popular double your money with play money bonus. You deposit £20 you play with £40. The maximum you can deposit is £100. You can deposit more but the bonus match is capped at £100. It’s also a minimum deposit of £20 so that’s what I use. Looking at the terms and conditions, you will need to wager 35 x your bonus amount before any funds can be withdrawn. The percentage match got smaller and so did the maximum deposit. But it’s still a second deposit bonus. Here you can deposit £20 and play with £30, the £10 being your bonus money. (50% of the £20 deposit). This again is subject to 35 x wagering requirements. Deposit number three is subject to 35 x wagering requirements and its pathetic. I mean come on Guts Casino! 25% match. Still when I deposit £20 now it’s £25 to play the Viking Runecraft slot with. It’s also another deposit bonus so we’ll take it. Courtesy again of Guts.com, cheers. Wow look at that! the percentage match is right back up there. In fact it’s now 200%, that’s double the original first deposit bonus. But wait, don’t be fooled. I looked at the terms and conditions, and got bored in the process. Capped at £100 your maximum deposit would be £50 and subject to wagering requirements of “you guessed it” 45 x the bonus amount. That went up too. So on deposit four, if you deposit £20 you play with £60. But! and it’s a big but. You must wager through £40 (the bonus value) 45 x and that’s £1800 of wagering before you can withdraw funds. 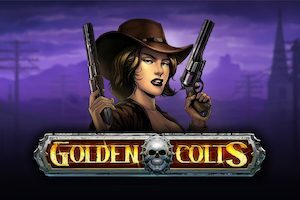 Still the Guts bonus is a good welcome deal, and all slot sites have their terms and conditions. The Viking Runecraft slot from Play ‘N Go is a fantastic 10p slots game and we fully reccommend Guts casino as the site to play it.